Time for Week 3 of our Crochet Along with Carol Meldrum! 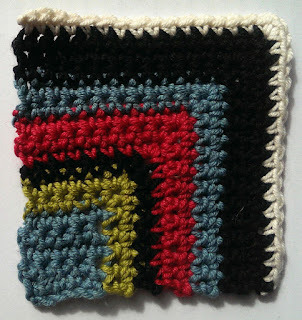 Today's free pattern is the Log Cabin Square. We hope you're enjoying the project so far! You can still join us if you'd like to do a bit of crochet. Yarn packs can be purchased through our website, or be adventurous and choose five of your own shades of Rowan Wool Cotton DK.